I recently found ThreadSence, an Indie-Urban online store based in California. The store has lots of fresh and fashionable pieces that everyone would love to wear. The great thing about them besides their products, is that they ship overseas, so for my international readers these are great news! Recientemente encontré ThreadSence, una boutique con un toque urbano e independiente establecida en California. La tienda tiene piezas juveniles, muy de moda que todas quisiéramos usar. Lo bueno de esta tienda, ademas de sus productos, es que hacen envíos internacionales, esto es super bueno para mis lectores que viven en otros países! I love fashionable fringe bags, I think they're a must for any Boho girl! 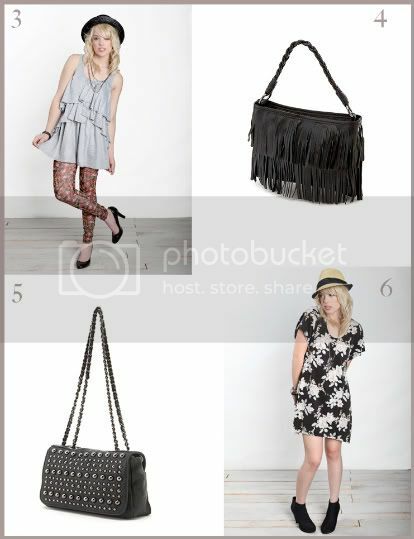 And for the ones who love the rocker chic vibe, bag # 5 is perfect! 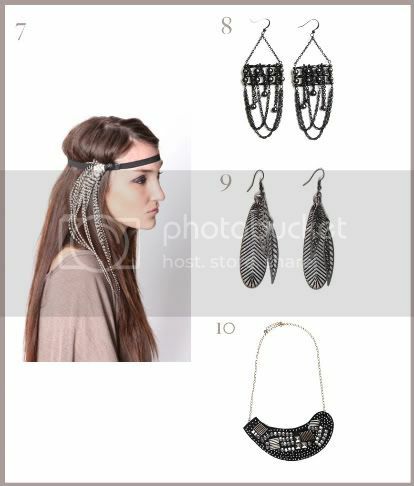 Me encantan las carteras fringe, son un 'must' para cualquier chica Boho! Y para las que les gusta mas el estilo rocker chic, la cartera #5 es perfecta! Ok I just love the headband on pic. 7!! I think the feather on the side is beautiful! I was looking for a headband like that for a long time. I also include some of my favorite earrings on this collage. I'm all about long earrings! Ok me encanta la diadema de la foto 7!! Me encanta la pluma al costado! He estado buscando una diadema asi desde hace mucho tiempo. También incluí en mi collage algunos de mis aretes favoritos. Me encantan los aretes largos! Ps: The lovely ThreadSence Boutique is giving all Boho Market readers 15% off on their entire purchase (excluding TokyoGlam items) you just need to enter the code: 'Boho15' at the moment of checkout. It will begin tonight and will go until next Friday April 16th. Thanks! 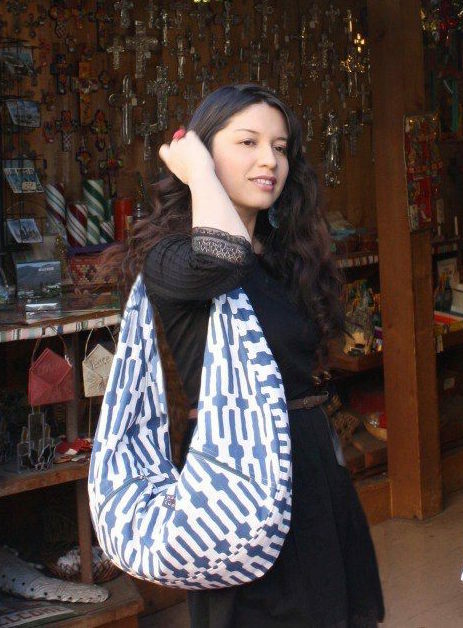 Pd: La boutique ThreadSence tiene la gentileza de ofrecer un 15% de descuento a todos los lectores de Boho Market, en su compra total, solo necesitas ingresar el código 'Boho15' al momento antes de finalizar tu compra. La promoción comienza esta noche y termina el Viernes 16 de Abril. Gracias! que cosas para más lindas giovanna, me encanto es estilo de los vestidos. que guays los looks :) me han encantado! giovanna dear! love them all. the headband is super cute, i could see you in it! oh i like the earrings cause theyre like metal feathers instead of real... nice! Such great style! Love it! Love the print on #2! I'm grabbing your button, too, Giovanna! Have a fabulous day! So cool! I love this store. Love the dresses! I need to check out this site! I didn't know this store. their items are gorgeous! I'm a fan now :) thanks for sharing. Lovely dresses!! I want those earrings too. love love love that headband too! THANKS FOR THE DISCOUNT AND THE PICTURES!! Giveaway Alert: Mini Dress-Tunic Giveaway!